Alappuzha ( ), also known as Alleppey, is the administrative headquarters of Alappuzha District of Kerala state of southern India. Alappuzha is the sixth largest city in Kerala with an urban population of 177,029. Alappuzha is considered to be the oldest planned city in this region and the lighthouse built on the coast of the city is the first of its kind along the Laccadive Sea coast (reference encyclopaedia of Kerala in Malayalam language). Alappuzha is situated 62 kilometres (39 mi) to the south of Kochi and 155 kilometres (96 mi) north of Trivandrum. A city with picturesque canals, backwaters, beaches, and lagoons, it was described as the one of the places known as the "Venice of the East" by Lord Curzon. Malayalam is the most spoken language. Hindi, English and Tamil are also widely spoken in the city. Other attractions in Alappuzha are Alappuzha Beach, offering one of the most beautiful views of the Laccadive Sea, Ambalappuzha Sri Krishna Temple, Arthunkal Basilica, Mannarasala Temple, Chettikulangara Devi Temple, Haripad Subrahmanya Swamy Temple, Mullakkal Temple, Edathua Church, Alappuzha CSI Christ Church (oldest Anglican church in Kerala) and Champakulam Valia Palli. Krishnapuram Palace also attracts many tourists. The tasty ambalappuzha payasam is a popular dessert. 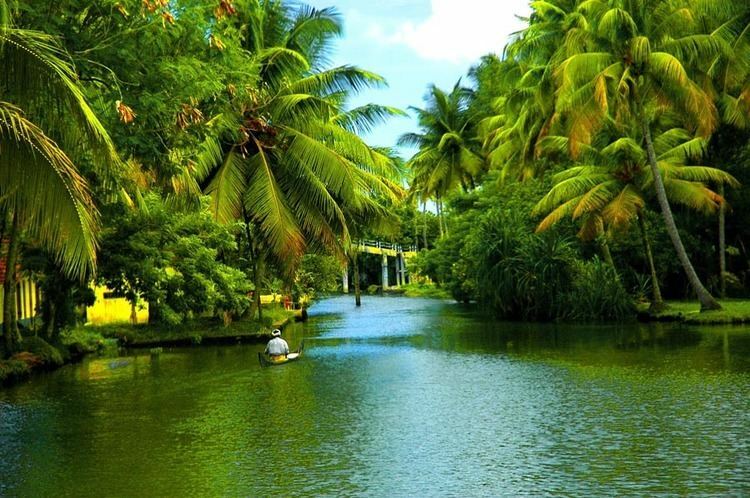 Alappuzha is a landmark between the broad Laccadive Sea and a web of rivers flowing into it. It is a city in Alappuzha District of Kerala state of southern India. 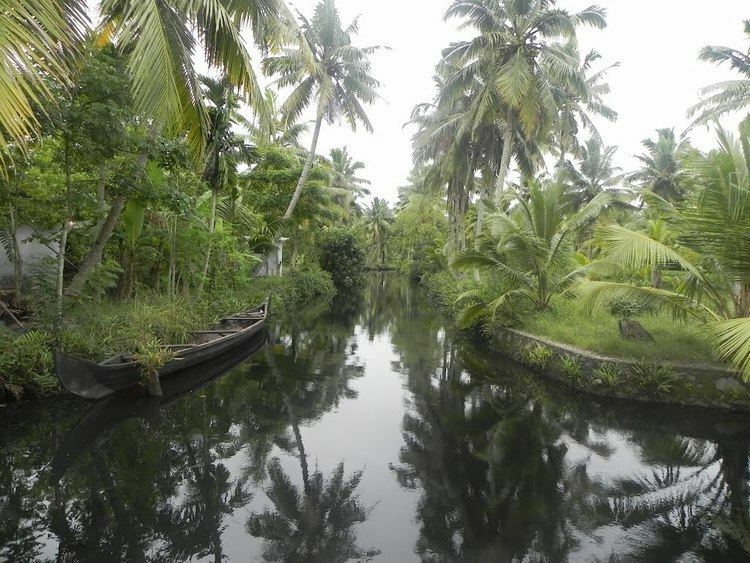 Kuttanad, the rice bowl of Kerala, with its unending stretch of paddy fields, small streams and canals with lush green coconut palms, was well known even from the early periods of the Sangam age. History says Alappuzha had trade relations with ancient Greece and Rome in the Middle Ages. 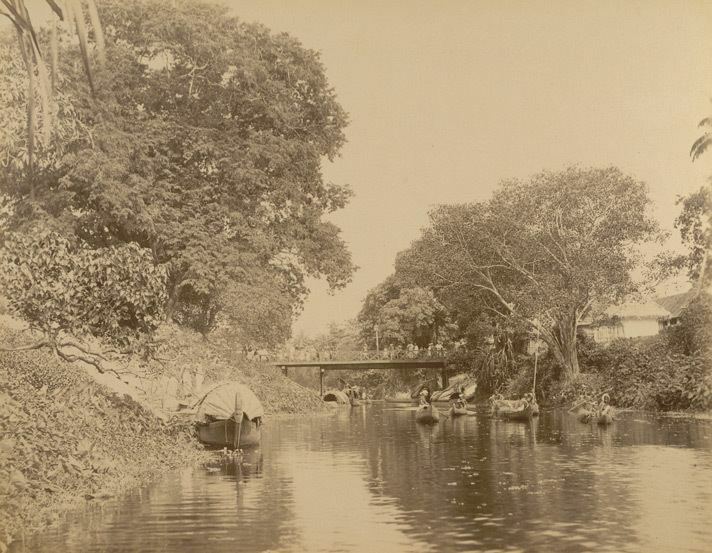 The early Cheras, who had their home in Kuttanad, were called `Kuttuvans`, so named after this place. Pliny and Ptolemy of the 1st and 2nd centuries had mentioned places like Purakkad or Barace in their classical works. Literary works like "Unnuneeli Sandesam" give some insight into the ancient period of this district. Archaeological antiquities, such as the stone inscriptions, historical monuments found in the temples, churches, and rock-cut caves, also emphasise the historic importance of Alappuzha District. Christianity had a strong foothold in this district, even from the 1st century AD. The church located at Kokkamangalam was one of the seven churches founded by St. Thomas, one of the twelve disciples of Jesus Christ. It is generally believed that he landed at Maliankara in Muziris Port, presently known as Cranganore or Kodungallur, in 52 AD and preached Christianity in South India. The district flourished in religion and culture under the second Chera Empire, during 9th to 12th centuries AD. The famous literary work, `Ascharya Choodamani`, a Sanskrit drama written by Sakthibhadran, a scholar of Chengannur, enables us to know many pertinent facts. Further, the temple on Lord Ayyappan, in Mukkal vattam near Muhamma in Alappuzha District, is called Cheerappanchira, for the Kalari from which Lord Ayyappa learnt his martial arts. A recent album by P. Unni Krishnan on Lord Ayyappa, titled Sabarimalai Va Charanam Solli Va, has songs illustrating the history of this temple and Lord Ayyappas stay here before he went to conquer the Mahishi Demon. Since landing in Calicut in 1498, the Portuguese started playing an influential role in Alappuzha. They began by spreading Catholicism and converting already existing Christians into Catholics. The famous St. Andrews Basilica was built by them during this period. In the 17th century, as the Portuguese power declined, the Dutch gained a predominant position in the principalities of this district. They built many factories and warehouses for storing pepper and ginger, relying on several treaties signed between the Dutch and the Rajas of Purakkad, Kayamkulam and Karappuram. In course of time they also delved into the political and cultural affairs of the district. At that time Maharaja Marthanda Varma (1706–1758), who was the Maker of modern Travancore, intervened in the political affairs of those princedoms. Travancore Dewan Ramayyan Dalawa (d. 1756) resided in Mavelikkara where he had a palace built by Marthanda Varma. After the death of his wife, Ramayyan consorted with a Nair lady from Mavelikkara of the Edassery family (PGN Unnithan, a member of this family, later became the last Dewan of Travancore in 1947). After his death Ramayyans descendants left Travancore to settle in Pudukkottai in Tamil Nadu. His Nair consort was given gifts and presents and special allowances from the Travancore government in recognition of his services to the state while his own descendants were bestowed with the honorific title of Dalawa. In the 19th century the district saw progress in many spheres. One of the five subordinate courts opened in the state in connection with the reorganisation of the judicial system by Colonel George Monro was located at Mavelikkara. The first post office and first telegraph office in the former Travancore state were established in this district. 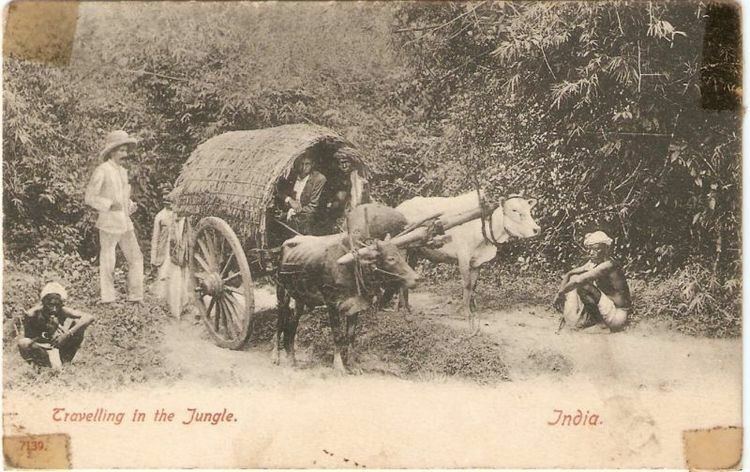 The first manufacturing factory for the coir mats was also established here in 1859. In 1894 the city Improvement Committee was set up. The historians of Alappuzha District also record the prominent role the district played in the freedom struggle of the country. The historic struggles of Punnapra and Vayalar in 1946 arrayed the people against Sir C. P. Ramaswami Iyer, who was Dewan of Travancore. And this ultimately led to Ramaswami Iyers exit from the political scene of Travancore. A popular Ministry was formed in Travancore on 24 March 1948 after India`s independence. Travancore and Cochin states were integrated on 1 July 1949. This arrangement continued until the formation of Kerala State on 1 November 1956, under the States Reorganization Act 1956. The district came into existence as a separate administrative unit on 1 August 1957. Alappuzha is located at 9.54°N 76.40°E? / 9.54; 76.40. The average elevation is 1 metre (3.3 ft) Alappuzha covers an area of 1,414 square kilometres (546 sq mi) and is flanked by 2,195 square kilometres (847 sq mi) of Vembanad Lake, where one can witness the magnificent union of six major rivers which spread out extensively before joining the 80 km coast line of the district. The city of Alappuzha is crisscrossed by a system of canals, which is a part of the National Waterway 3 (India). Alappuzha is gifted with immense natural beauty with the Laccadive Sea on its west. The city has a vast network of lakes, lagoons and fresh water rivers. Due to their closeness to the sea it has developed an unparalleled destination in the maritime map of India.The richness of the coastal Alappuzha waters is expressed annually in the blooming and consequent deposit of a huge quantity of fishes and prawns on the Alappuzha coast called ‘Chakara’. This annual shifting of sandbank appears during the post-monsoon period and contributes to the local economy and is a festive season for the people of Kerala. The annual floods rejuvenate and cleanse the soil and water due to which there is abundance of marine life like prawns, lobsters, fishes, turtles,and other flora in the sea. The backwaters and wetlands host thousands of migrant common teal, ducks and cormorants every year who reach here from long distances. One of the major feature of this land is the region called Kuttanad, the granary of Kerala. Kuttanad is also known as the rice bowl of Kerala and is one of the few places in the world where farming is done below sea level. The paddy fields lie about 0.6 to 2 m below mean sea level. Owing to its proximity to the sea, the climate of Alappuzha is humid and hot during the summer, although it remains fairly cool and pleasant during the months of October and November. The average monthly temperature is 27C. The district also gets the benefit of two seasonal monsoons, as in other parts of the state. Alappuzha city experiences a long monsoon season with heavy showers as both the Southwest monsoon and Northeast monsoon influences the weather of Alappuzha. The South-west monsoon affects the climate in the months from June to September. On the other hand, the North-east monsoon brings rain from October to November. The average rainfall received by the region is 2763 mm. The economy of the district is predominantly based on agriculture and marine products. The agricultural activities predominantly revolve around Kuttanad region, the rice bowl of Kerala. Though the district is industrially backward, some traditional industries based on coir and coir products, marine products, handlooms, different types of handicrafts, toddy tapping, have been active from the very early times. The district is known as the traditional home of coir industry in Kerala.